Social Networking websites have taken the world by storm. People are social animals and the idea to connect to millions of new people, regardless of where they live, through the internet has caught their attention. That’s the reason social networking sites have millions of active users. With time, the only problem that we are facing is issues with managing multiple social networking sites. One easy, way is to take help of scheduling and buffer tools to keep our account active for long. 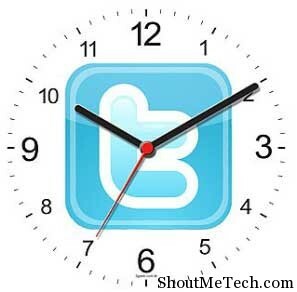 In this article, I will be talking about some of the Twitter tools to schedule your Tweets. Many of these tools are free and many are paid. There are many reasons to schedule tweets. Some of them which I can think of, wishing your follower on any specific occasions, making an special announcement like blog anniversary, or re-sharing your old post for more visibility. Reasons could be endless, but the whole idea is to keep your account active. Else, we have already discussed what Twitter users do to other inactive Twitter account. Twitter has gained a lot of attention from people who use the internet, and that is why you can say that writing ‘tweets’ also known as ‘tweeting’ has become the new internet trend. You can think of tweeting as continuous news feed from the people you follow, such as celebrities, friends, etc., and you can also post your own tweets and share with the world in 140 character what you have been doing. Before you start scheduling your Twetes, I recommend you to read the post on: How to determine best time to Tweet and then schedule tweets according to suggestion, so that your Tweet will be seen by maximum of your followers. Else, you might have to make the same tweet multiple times to make it more reachable. Many of you might already be familiar with Hootsuite and it is even getting a lot of attention as more and more people are using it. Like: Hootsuite provides you with a lot of extra features along with the basic feature to schedule tweets on your Twitter account. The interface is easy to use, and it even allows you to customize it according to your liking. This service also uses web technologies such as Ajax in order to keep everything updated. It also has features that can help in saving your time such as providing you with the feature which automatically provides you with updates of your blog feeds into Twitter and threaded conversations, which keeps everything organized when you are following a lot other tweeters. It also allows you to attach pictures, videos and documents to your tweets and creates a link between multiple Twitter accounts that you have. The best thing is, you can manage other social profiles like Facebook profile, Facebook fan pages, Google plus pages and many more. It’s a complete Social media dashboard. Twuffur is another site which lets you add tweets in buffer. You can schedule Tweet with an ease. Like: This is a simple site and does what it says. Offers 4 tabs and one setting tab. You can schedule lots of tweets and you can sort them in any order under schedule tab. 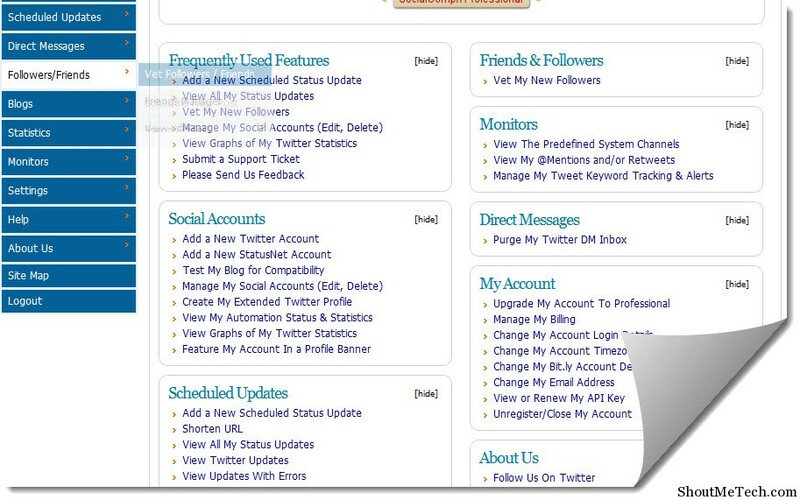 The interface is very easy to use, and it even keeps a record of your past and future tweets that you have scheduled. It is also very easy and fast to use. A good thing that we liked about Twuffer was that you can easily choose your timezone and then schedule tweets by hours. Twuffer review here by Darren Rowse. Dislike: It is very simple and it can currently just schedule tweets,and there are many other tools, which offer more features then scheduling your tweets. I would prefer to stick to one like SocialOomph, which offers multiple features. Social Oomph is one of my favorite in the list. It not only come with feature to schedule Tweets but also offer multiple features, which I have already covered in my Socialoomph review post. 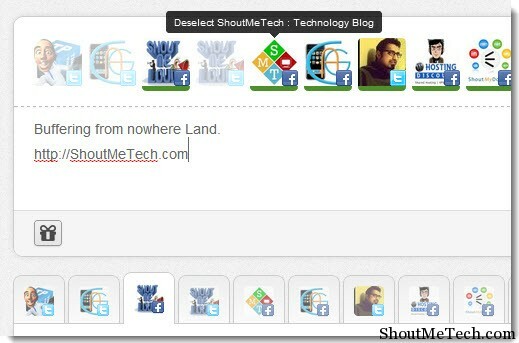 Like: There are many extra features which Social Oomph provides its users with, for free. This service allows you to schedule tweets, save drafts to reuse later, create extended profiles in order for you to display more personal information, automatically follow and unfollow users who do the same thing to you and a lot of other features. Social Oomph can also be upgraded to the ‘Professional Version’. By making this upgrade, you can have the features of Facebook integration, recurring updates as well as keyword tracking. Dislike: You will need to register with email activation, and we weren’t expecting the amount of text they kept showing us in certain parts of the application. The interface requires some work in order to become more streamlined. Users are only allowed to schedule 12 tweets per hour. Bufferapp is the coolest kid in the town and something that I love the most. 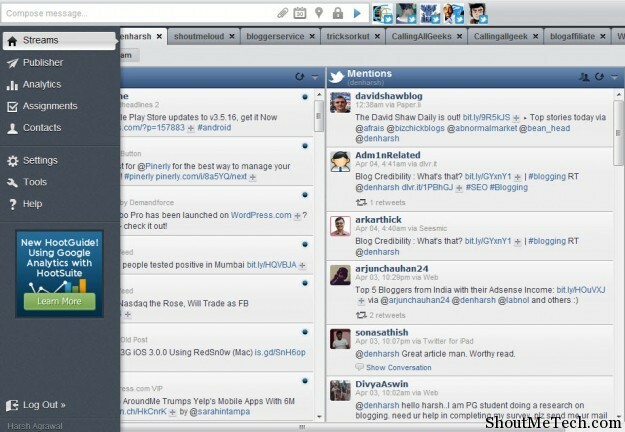 Like: Bufferapp supports many other social networking sites like Facebook, LInkedLn which makes this app really useful. As name suggests, Buffer app add your Schedule Tweets and updates in buffers and post it at selected time. It’s not exactly a scheudle Tweet but I believe this one deserve a mention. Offers many ways to integrate buffer into your browser or also on your site. I’m using it on ShoutMeLoud.com. Dislike : Nothing in particular. Well, it’s up to you how and what tweets you schedule but if you do it correctly, you can keep your account interactive all the time. For example, when I started @shoutMeTech twitter account, I schedule many interesting Tech quotes and also questions to engage the users. There were many other services which are closed now because of the changes in Twitter TOS and API, and one of them is FutureTweets. This was one service which I started using at the initial time but later they pulled down the service. But, anyhow it doesn’t make much difference as one goes, many new comes. So, there you go, we have provided you with five different ways you can schedule tweets for your Twitter account depending on the time and date, etc. you want them to be posted and make things easier and more organized for yourself. Don’t forget to tweet this post, if you enjoyed and find it useful.